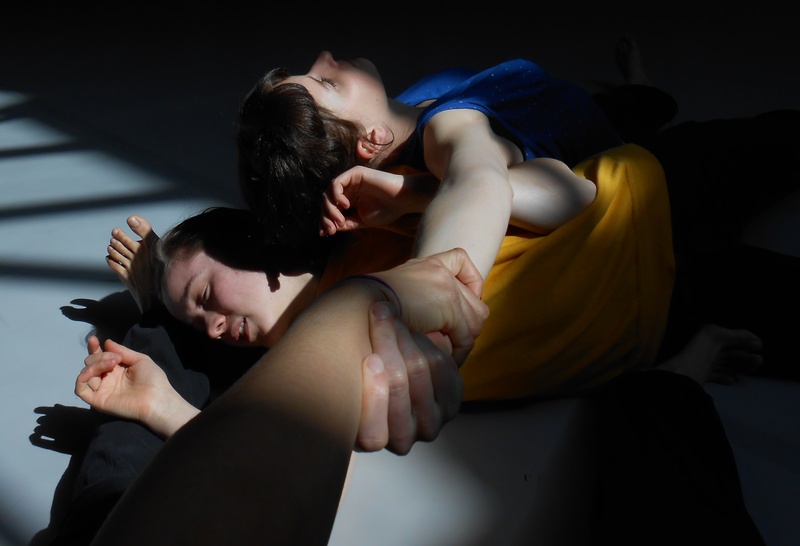 Daniel Linehan’s next dance performance, Gaze is a Gap is a Ghost, establishes a dialogue between the visible and the invisible, between our common shared knowledge and our private intimate worlds. Through the use of video, the performance gives the audience an imaginative access to the visual perspectives of three dancers. From the inside, the dance starts to look less like performers traveling across the stage and more like a theatre space in motion. The correlation between the fixed video recording and the alterable live event forms a link between the past and the present, yet the performance also points toward the possibility to disrupt this link. The work aims to raise a series of questions about the relationship between the human and the technological, between the real and the virtual. How does the use of impersonal technology re-configure our ideas about intimacy? How does digital mediation re-constitute our sense of our physical, embodied existence? In the end, Gaze is a Gap is a Ghost highlights and celebrates the inevitable divide that separates the dancer from the choreography, the inevitable disjunction between a human and a structure.